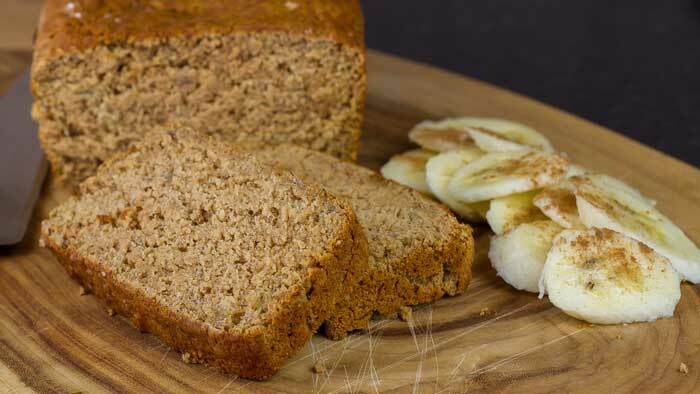 This gluten free banana bread is a healthy vegan recipe that packs flavor, yet is light on the palette. This is a great way to use up ripe bananas and make a delicious dessert with just a few simple ingredients. Just stir, bake and eat 🙂 It doesn’t get much easier than this. Preheat oven to 350 degrees Fahrenheit/175 degrees Celsius. And line a 9 x 5 inch loaf pan with non-stick parchment paper. Place all the dry ingredients in a mixing bowl and stir until well combined. Pour all wet ingredients on top of the dry and gently mix through until just combined. Don't over mix. Pour batter into the loaf pan and bake in middle of oven for approximately 45 minutes. Check that the centre is cooked by using a skewer or chop stick, making sure that it comes out clean. If not bake for 5 or 10 minutes longer. Gently remove from loaf pan and turn onto a wire cooling rack. Leave for about an hour until it has completely cooled. This will make it easy to cut so the loaf does not fall apart. This makes one banana loaf and can be kept at room temperature in an air tight container for about a week. You could also slice it and freeze (just give it about an hour or so to defrost before serving). Thousand thanks for your recipes! This one turned amazing too. But I think you listed baking soda instead of baking powder in Dry ingredients. All these flavors combined in one bread, that’s sounds just paradise! do you have to use maple syrup? or will agave work? Is it potato flour as you posted or potato starch? 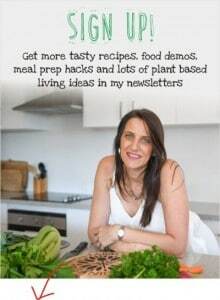 Thanks for all you do, enjoy your you tube videos and your recipes. I just tried the recipe tonight and it came out really good – I find not used potato flour (not available at hand) in lieu I used coconut flour of 1/4. Thanks for the recipe will bake more. Great videos & recipes :)! My husband has to avoid nightshades (potatoes included), so I’m not familiar with texture or purpose of the potatoe flour, would an absorbent flour like coconut flour suit the same purpose, or do have a recommendation? (I can try it, but my failed attempts are becoming expensive – which I’m sure we have all experienced). Where can I purchase your gluten free bread mix? I just get mine either online or from health food stores. Could u use banana flour ?? I have never used banana flour but I would imagine that it won’t bind as well and hold everything together. Let me know if you do try it. Anja, I used this recipe to make muffins… We all LOVED it. It’s the definitely the best one I’ve ever used. Best in a few ways.. Easily, tastes great, and HEALTHY! I actually tweaked a couple things.. I used whole wheat pastry flour, and half the banana and 3x the apple/pear puree.. Because I made orange cranberry walnut muffins. You are brilliant. Thank you for sharing this. I can’t wait to get your book. You are, by far, my favorite “go to” for help with pretty much anything. Everything I’ve made from your recipes has always turned out wonderfully. Thank you! Hello i would like to ask if it’s okay to substitute oat flour to the flours you used? I haven’t tried but I don’t think it would hold together. It might turns out gluggy and dense. I made the recipe. However it came out hard. Can you please explain why? Thank you very much for your great website. Not sure why it came out hard. Did you convert to imperial measurements? Stick to potato flour. The difference between potato flour and potato starch is critical in gluten-free baking. For example, substituting potato flour for potato starch in a recipe makes light, fluffy homemade treats turn into tough hockey pucks. Hi Anja, I made this banana bread and it was very nice. I love you recipes and have made several of them. 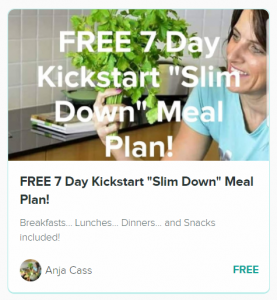 Great recipes Anna! My father in law reversed heart disease 46 years ago. Stop eating all animal foods, they have saturated fat that close up the arteries. 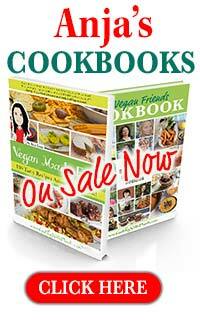 Read books by the vegan doctors, Dr. Fuhrman, Dr. Neal Barnard, Dr. Caldwell Elestein, and many more!!! Doctors aren’t trained in how rehearse disease, only “treat it. Is it possible to eat your diet without lentils and beans and have good Health? Or may be it will be too little proteins? I have IBS, Irritated bowel syndrome, and beans and lentils (and other things also) give me pain. Sorry, but my English is not so good. Thankful if you answer me. Yes you can. Just eat other things like lots of iron rich vegetables, nuts and seeds. Check out nutritionfacts.org for more information too.